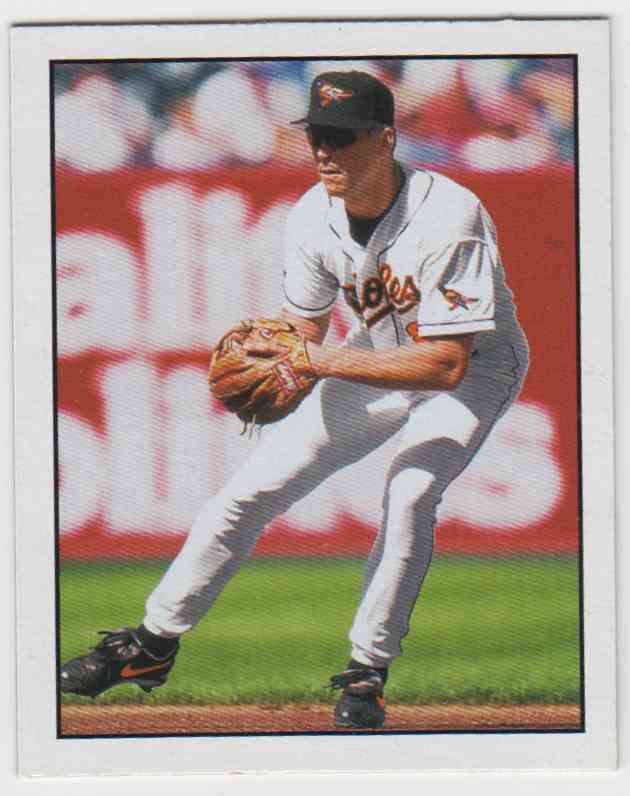 This is a Baseball trading card of Cal Ripken JR., Baltimore Orioles. 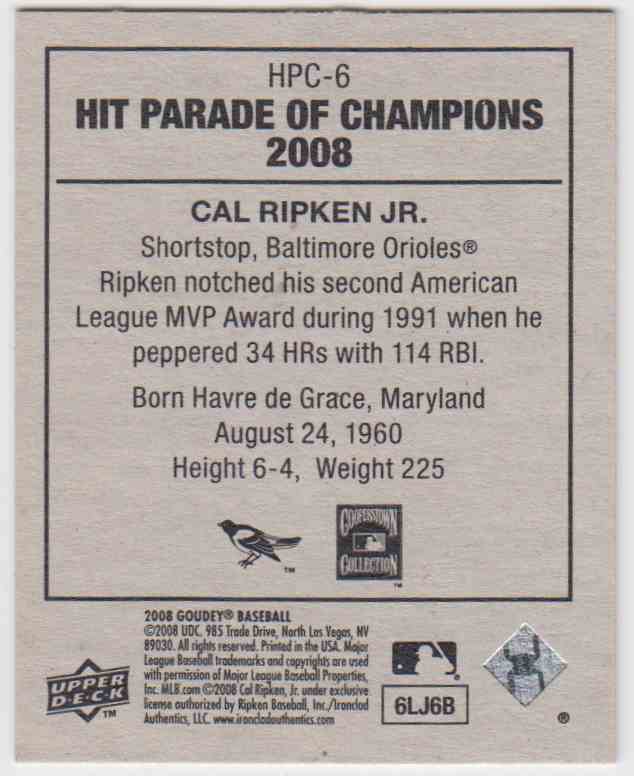 It comes from the 2008 Upper Deck Goudey Hit Parade Of Champions set, card number HPC-6. It is for sale at a price of $ 5.00. Approximate size based on scanned front picture: 2½" x 2"